Lent has begun! Often during Lent, we are encouraged to practice fasting, or giving something up to grow closer to God. Instead of fasting over Lent, we want our Sunday School students to add something in! We want to challenge students to commit some elements of their faith to heart – and to earn some fun prizes along the way! On Sunday, information will come home about what each age group is encouraged to memorize. We will touch on these items during Sunday School, but our mornings together are very full, so we ask that families work on these at home throughout the Lenten season. As your child(ren) memorize the items, they can recite them for a Sunday School volunteer, and if they are successful, they will earn a prize for each item memorized. Thank you for partnering with me in your child’s faith journey! I can't wait to hear what they've learned! ​Registration is now open for Sunday School! Sign-up by clicking below. 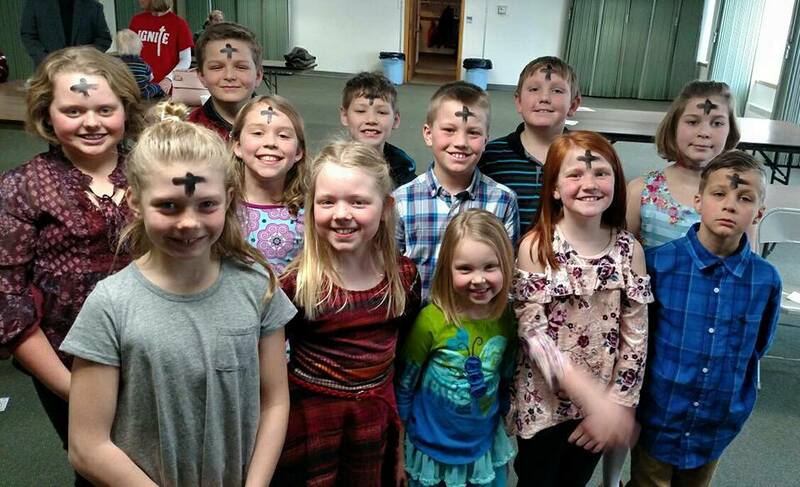 ​First Lutheran provides Sunday School instruction for children aged 3 (by Sept. 1) through grade 5. Classes meet from 10:15 – 11:15am in the Education Wing. (Please note the change in end time for this year!) We ask that families pre-register students for Sunday School, so we can ensure we have the correct amount of materials. ​We look forward to having new 3-year olds join us each year for the first time. We welcome new students and visitors any Sunday, just check in at the Education Office and introduce yourself or your friend! * Special music and a message, followed by small group classroom time with a Bible story, crafts, science experiments, games and service projects. * Special events including Rally Day, Blessing of the Backpacks, Christmas program, Camp Worships, and more! ​* Faith Formation celebrations such as a Baptismal Remembrance, Bible Blessings, and First Communion. ​We are looking for classroom teachers and volunteers to share your faith as well! Volunteers are asked to sign up for a period of approximately 8 Sundays (one “quarter”). Feel free to sign up for more than one quarter or more than one grade throughout the year! Curriculum is provided for you to follow along with, and is low, low, low prep! Volunteering for Sunday School is a great way to get to know the youth of our church!